hey guys. after a lot of searching and head scratching, ive finally decided to post a cry for help. 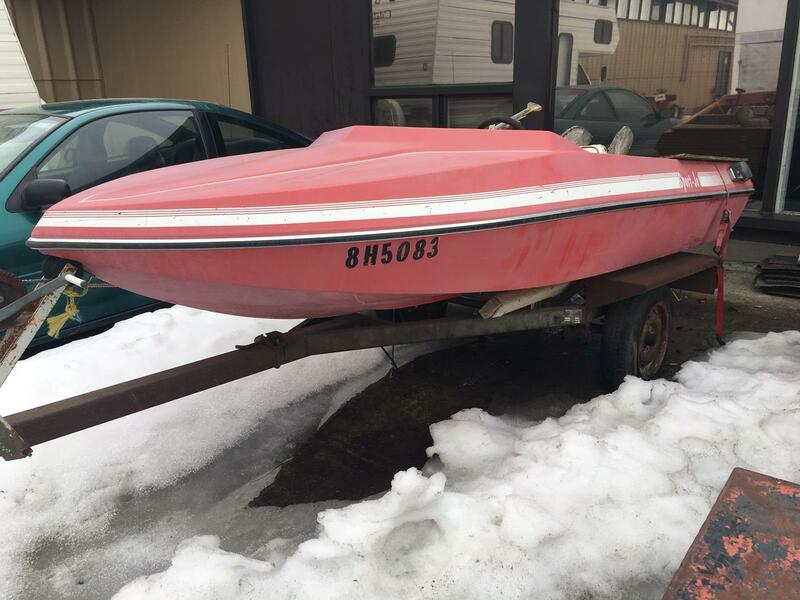 i purchased this boat last week from a lady in Springbrook, AB. it's a "Sport-Jet" mini boat. Approx 10ft long. Engine is an "AMW" opposed twin-cylinder engine with a Berkely 6JA jet-drive pump on it. 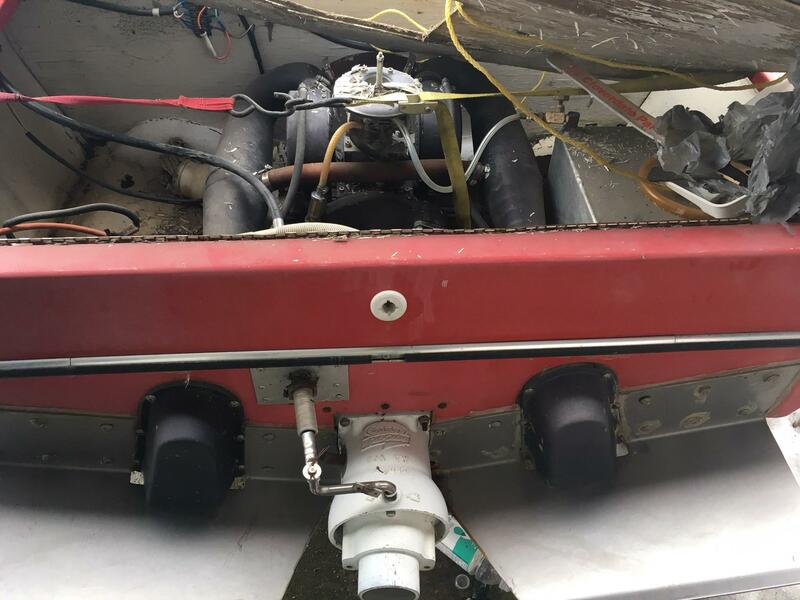 Anybody here have a clue on these older Sport-Jet boats? 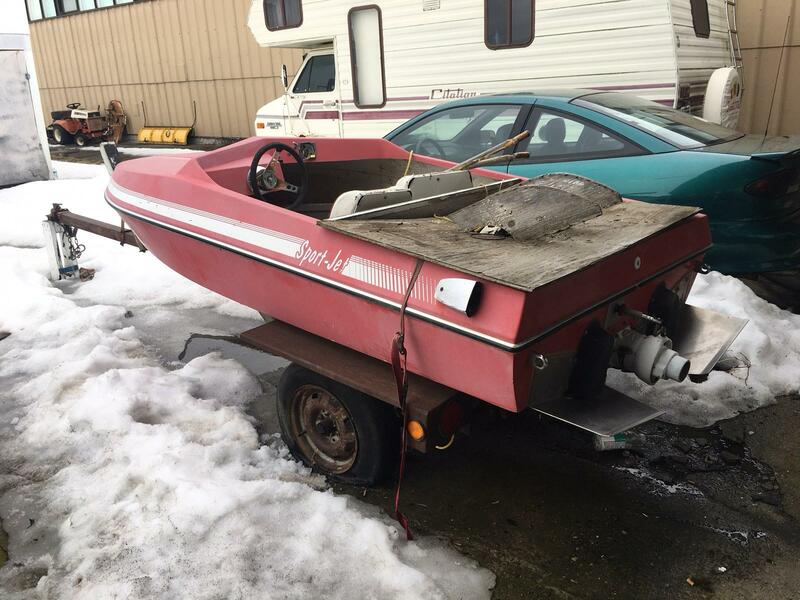 I can't find a VIN, or any identification on this boat, other than the AB registration. Tuna, you might have better luck on FB, if you are on FB, being from RD maybe post in CARBA, or People Who Would Rather Jet Boat Then Work. Early sea-doo running gear from the late 60's. then they went to the vertical twin in the 70's before discontinuing them in latter 70's. might still have some parts in the shed, I will look and contact you. thanks for the responses guys. and i just seen the pictures i posted - pretty blown up and not much help.